The 2010 general election was one of the most unpredictable and memorable in decades. Here are 12 key moments from the campaign and its historic aftermath. 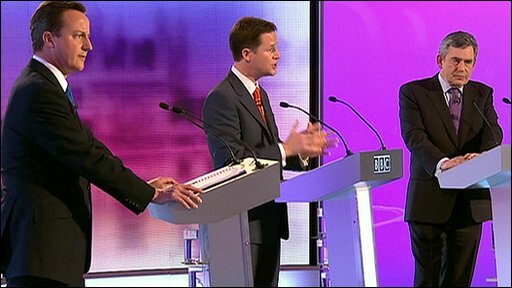 Everyone knew that, as the leader of the third biggest party, Nick Clegg had the most to gain from sharing equal billing with Gordon Brown and David Cameron in Britain's first televised prime ministerial debate. And because he won the draw to go first, the first thing viewers saw, in place of the all-too-familar faces of the Labour and Tory leaders, was a fresh-faced young man talking about a new type of politics. The fact that the other leaders seemed to defer so readily to him - the catchphrase of the evening "I agree with Nick" was soon immortalised on Lib Dem campaign T-shirts - cemented the impression of an exciting new force bursting onto Britain's tired and discredited political scene. It had an electrifying effect on the campaign. Never in electoral history had one party gained 10 points in the polls in one leap. The big question was could Cleggmania last? Because the TV debates dominated everything, the more traditional campaign props, such as party political broadcasts and manifesto launches, had to work even harder to get noticed. Labour certainly pulled out the stops with their manifesto launch , which featured manifestos on memory sticks, a glamorous young blogger and a family of cartoon characters. The Conservatives, by contrast, went for a post-apocalyptic feel for their launch , in the bowels of the derelict Battersea Power Station. The Lib Dems launched their manifesto at the swish offices of a City wire service. But perhaps the strangest event was the British National Party's launch , which saw leader Nick Griffin followed on to the platform by a man dressed as St George. was all about how Gordon Brown and David Cameron dealt with the Clegg surge. Mr Brown opted to play the elder statesman card. He might not win on style, he said, but when it came to substance he was your man. 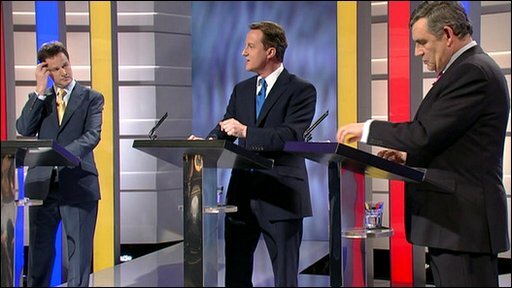 Mr Cameron, who had found his change mantle stolen from him by Mr Clegg in the first debate, faced a more difficult task. The only way to get "real change" was to vote Conservative, he stressed. He also managed to display the passion some felt was missing from his first performance, with an angry attack on Labour election leaflet "lies". Mr Clegg - who since the first debate had received a sound kicking from Conservative supporting newspapers - tried to pull off a repeat of his first triumph. It did not quite work, with most of the snap polls taken immediately afterwards handing victory to Mr Cameron. When Alastair Campbell tweeted the evening before that Brown would be joined on the campaign trail in Northamptonshire by a "megastar" no one expected this . The idea had been to increase the "tempo" of Mr Brown's campaign. 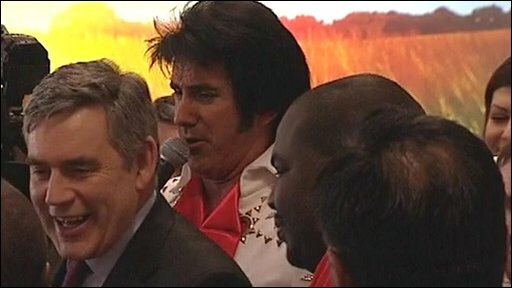 But, for many observers, the sight of Mr Brown, always awkward at public events, being followed about by an Elvis impersonator in a white Rhinestone jump suit crooning The Wonder of You was the moment his campaign ran into a brick wall. It made excruciating viewing. 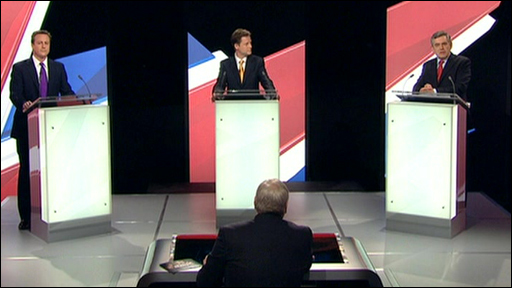 Despite all the hype about the TV debates, this was the defining TV moment of the 2010 election campaign. 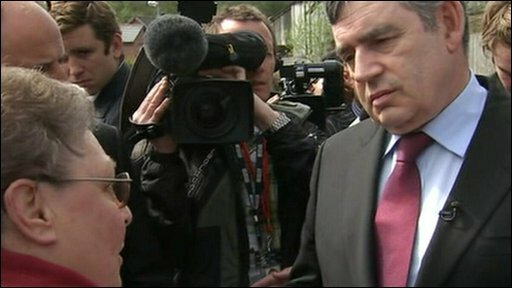 Gordon Brown's efforts to meet more ordinary voters backfired spectacularly when, thanks to a microphone that had been left on, he was heard complaining bitterly to aides about a "bigoted woman" he had just spoken to in Rochdale. In fact, as TV viewers could see, lifelong Labour voter Gillian Duffy had been nothing of the sort. But the worst was yet to come for Mr Brown when the clip was replayed to him in a BBC radio studio and the TV cameras captured his devastated reaction. Despite an immediate personal apology to Mrs Duffy, it was widely seen as a career-ending moment. This was the big one. The third TV debate, a week before polling day, was the final chance to land a knockout blow and change the course of the election. 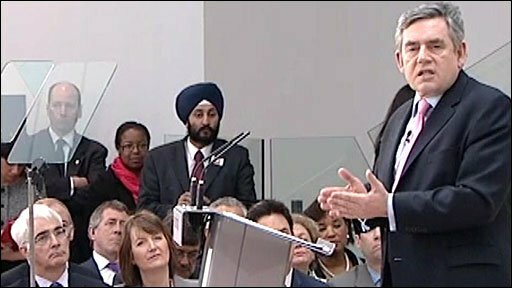 There was, perhaps, a hint of desperation in Gordon Brown's final appeal to voters at the end of the 90 minute, BBC hosted, event, with his warning not to "risk" a vote for Mr Cameron or Mr Clegg. 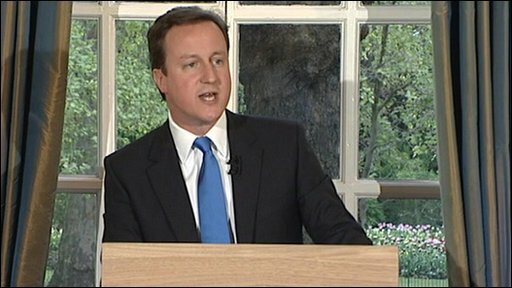 Mr Cameron delighted grassroots Tories by ditching some of his Big Society rhetoric in favour of a more traditional message on immigration and Europe. But despite again coming out on top in the snap opinion polls, it was not the game-changer he needed. Nick Clegg's "new politics" message was starting to sound a little over-rehearsed by now, but he still came ahead of Mr Brown in the post-debate polls. Mr Farage's plane was trailing an election banner when it nosedived into the ground. Nigel Farage, erstwhile leader of the UK Independence Party, managed to dominate the normally politics-free news bulletins on polling day, but not in a way even someone with his knack for grabbing headlines would have would have wanted. 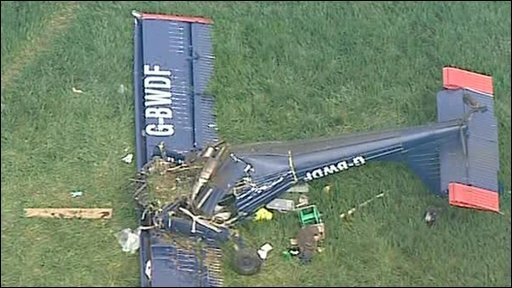 The flamboyant MEP reckoned himself "lucky to be alive" after the light aircraft he was in got tangled up with a UKIP banner it was towing. Mr Farage suffered broken ribs and spinal injuries in the crash. To add insult to injury he came third in the Buckingham constituency, failing in his mission to unseat Commons speaker John Bercow. He later admitted "miscalculating" the popularity of Mr Bercow in the constituency. 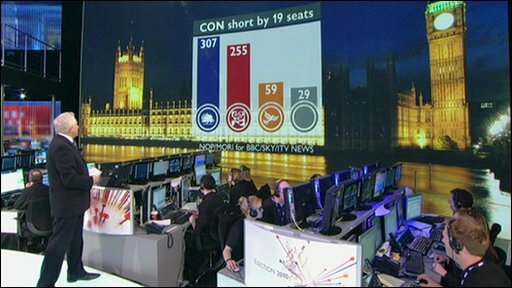 The joint BBC/ITV/Sky exit poll, taken at dozens of polling stations across the UK, and announced as the real polls closed, predicted a hung Parliament, with the Conservatives just short of an overall majority and the Lib Dems not doing much better than they had in 2005. Pundits and politicians alike reacted with scepticism to its findings. The almost total disappearance of the Lib Dem surge seemed particularly unlikely. Exit polls had, after all, been wrong before. But as the night's events unfolded, it became increasingly obvious that the 2010 exit poll had been more or less spot on. Election night is never short of drama when it comes to high profile politicians losing their seats. And with the expenses saga still ringing in voters' ears, there was expected to be a particularly big crop this time around, although, in the end, it did not quite work out that way. 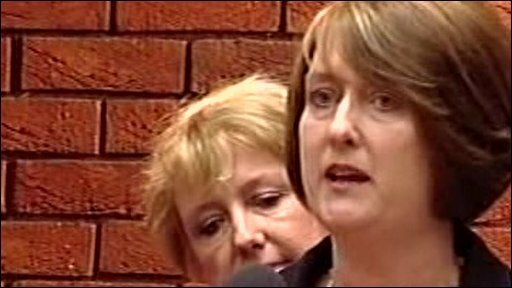 Former Home Secretary Jacqui Smith headed a list of high profile Labour casualties, losing her Redditch seat, to the Conservatives. Another former Labour Home Secretary Charles Clarke narrowly loses his seat in Norwich South to the Lib Dems. Former Communities Minister Shahid Malik lost his seat in Dewsbury to the Conservatives. But Ed Balls hangs on by just over 1,000 votes in his Morley and Outwood seat, despite a concerted campaign to oust him. Other high profile losers included Liberal Democrat Lembit Opik, who was on the receiving end of a 13% swing against him in Montgomeryshire, and ex Lib Dem frontbencher Evan Harris in Oxford West and Abingdon. A hung Parliament is not the result David Cameron would have wanted to wake up to, but at this hastily arranged press conference he almost made it look as it had been planned all along. 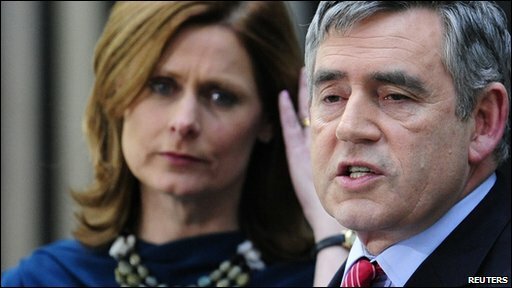 His "big, open and comprehensive" offer to the Liberal Democrats to join forces with him in government came hard on the heels of Gordon Brown's announcement that he wanted to give the Conservatives and Liberal Democrats the first opportunity to try and form a government. It fired the starting pistol on an extraordinary few days, as former bitter rivals in the three main parties sat down together to explore common ground in "the national interest". Gordon Brown: "Thank you and goodbye"
In a moment that even his sternest critics agreed was poignant and dignified, Gordon Brown appeared on the steps of Downing Street with wife Sarah and his two young sons, normally hidden from the media's gaze, for the final time as prime minister. In an emotional speech, Mr Brown said he had "loved the job" and it had been "a privilege to serve" but that he had taken the decision to resign after concluding he would not be able to form a government, saying that he now wanted to concentrate on the more important job of being a husband and a father. His parting words, before leaving Downing Street forever, were "thank you and goodbye". 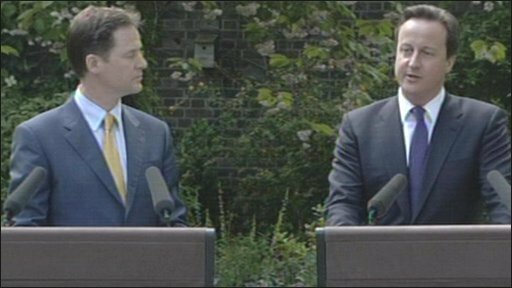 Cameron: "We can act for the long term and make big decisions for the future"
If ever a moment captured the novelty and sheer strangeness of Britain's new coalition government, it was the first joint press conference between Prime Minister David Cameron and his deputy Nick Clegg in the Downing Street garden. Journalists could not resist reaching for the wedding metaphors, as the two men joked around and posed for the cameras amid the roses. Even being reminded by a journalist that he had once described Mr Clegg as his "favourite joke" did not spoil the mood, as Mr Cameron hailed an "historic and seismic shift" in British politics. Why has Eton College produced 18 British PMs?